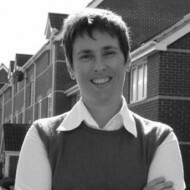 Kate Faulkner is Managing Director of propertychecklists.co.uk. The site gives free advice to consumers on how to measure their local market and an understanding of how to buy their first home or trade up. Kate’s background stretches from self-build to part exchange to buy to let and renovation. She is the author of the Which? property books and regularly appears on local and national media. Is it time to outsource your buy to let to a professional? Should Lincoln open or shut the door to Article 4? Who’s winning and losing in the Lincoln property market? Local housing: Is this how to solve our housing crisis?